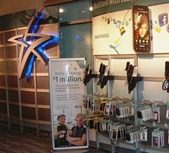 US Cellular is changing up their prepaid plans. Overall, the prices on the plans dropped, but some users may still decide to keep their current plans. The new plans were laid out on US Cellular’s website today. There are three standard prepaid plans. The lowest tier has a limit of 400 voice minutes, 400 messages and 400 picture messages. It costs $35 per month and there is a $20 activation fee. The next higher tier has unlimited voice, text and picture messaging, plus 1 GB of data, for $50 per month. There is also a $20 activation fee on this plan. The highest tier will include unlimited voice, text and picture messaging, plus 2 GB of data, and will cost $65 per month. The activation fee is waived for this plan. Here’s the kicker though. Smartphone users signing up under the new pricing structure will be required to sign up for the $65 plan. We first learned of this through Engadget, who also states that current users will be allowed to keep their current plans. So why would US Cellular offer a plan with 1 GB of data, but not allow customers with smartphones to sign up for it? Especially considering, as it’s a prepaid plan, the cost of the phone is not subsidized. The shopper is paying full price for it. Not sure about that one, but we have confirmed that orders for a smartphone with a prepaid plan placed on US Cellular’s site only allow the highest tier plan to be selected. Both of the lower level tiers are greyed out. We have contacted US Cellular to ask about this. We’ll update this story when we hear back.